The fragmentation in the freight industry is quite well known, and so is the skewed tilt towards owner-operators and small fleets, who are an outsized portion of the total number of fleets in the market. However, such a situation is not necessarily advantageous to the small fleets, as fragmentation foments opacity in spot markets - both on rates and the number of available loads. 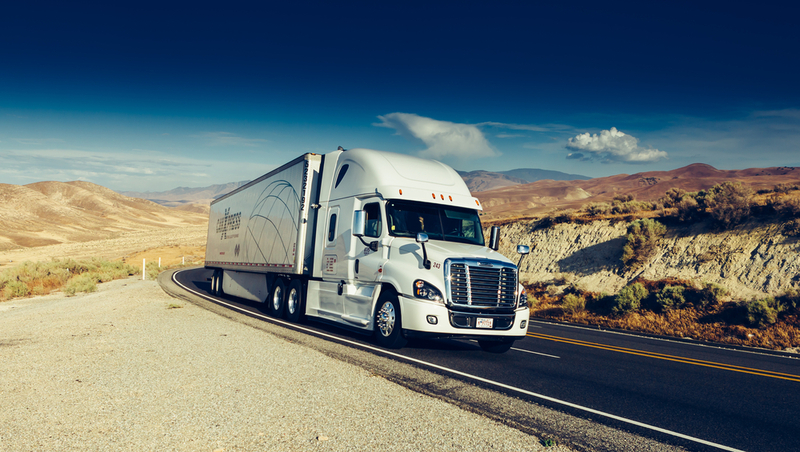 Small fleets and owner-operators also have considerable inefficiencies in the way they track and file documents, build and bill invoices, and follow up on business reports. Merge Transit, a startup that calls itself a “spot market agency,” is providing a mobile app and a simplified web TMS system for small carriers that operate in the spot market - a solution that consolidates the tools a trucker would need while on the road and while running operations through mobile offices, rather than behind a desk. Taylor explained that though Merge Transit was often classified as a dispatch service by its clients, it was looking to automate the process and was banking on data analytics for understanding the market. “We work on this every day, trying to predict the market based on trends, which is why we purchase SONAR. This is where we see a value in our services, as in order to negotiate better rates and to be effective, you got to be in the right position and know how to be in that position,” he said. A lot of what is now being offered through Merge Transit evolved when the company was working on its internal processes to improve efficiency within the team by developing spreadsheets and collecting data. “Using our algorithms, we can now help point trucks in the right direction - for example, with cargo volumes, and trying to figure out how they can get from 150 calls a day and booking 10 loads to doing 60 calls a day and booking 10 loads, while increasing the rate per mile at the same time,” said Taylor. Customers can generate P+L reports that can be sent to accountants for review, without the need for services like QuickBooks to monitor operations. “Our goal is to continue to add tools to this app that will help automate the dispatching portion of an independent trucker’s business, by integrating predictive routing tools that will allow them to see past data, mixed with market predictions in order to see potential outcomes of different route selections,” said Taylor. Quite recently, Merge Transit has started leveraging the various indexes provided by the FreightWaves’ SONAR platform along with three years of data collected by the company from fleets of three-and-under trucks, to create an automation tool for its users and employees. Taylor mentioned that this helps the startup provide insight not just with accounting for carrier numbers through real-time cost and revenue tracking, but also with providing market analytics for smaller fleets by a combination of the said resources.